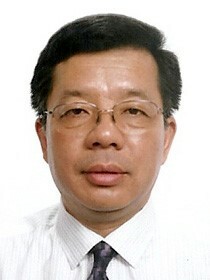 Wei Zhang is a Professor at University of New South Wales, Sydney, Australia. His current research interests include UAV communications, mmWave communications, space information networks, and massive MIMO. Currently, he serves as a TPC Co-Chair of IEEE/CIC ICCC 2019, Changchun, China. He is the Editor-in-Chief of IEEE Wireless Communications Letters and Associate Editor-in-Chief of Journal of Communications and Information Networks. He also serves as Vice Chair for IEEE Wireless Communications Technical Committee and Vice Director of IEEE Communications Society Asia Pacific Board. He is a member of Board of Governors of IEEE Communications Society. He is an IEEE Fellow. With the growing demand of real-time communications in anywhere for anyone, UAV communications has been developed, as the UAV can be simply deployed in cities, remote areas, over the seas, etc. To support the high bandwidth requests for UAV communications, millimeter wave band is considered as a promising candidate. This talk will overview some research challenges and opportunities in developing mmWave communications for UAVs, including channel modeling, beam training and tracking, dynamic routing and mmWave cellular technology. 5G wireless networks are expected to support extremely high data rates and radically new applications, as well as extensively wide coverage. Although the terrestrial cellular networks have dominated the mobile users from 3G to 4G, the gap between the demand and supply is becoming more and more prominent. Satellite network is an ideal solution to address such a dilemma. While the terrestrial networks can achieve high-speed data services at low cost, satellite based access is one way to complement terrestrial based networks to ensure ubiquitous, 100% geographic coverage. Satellite communication networks are emerging in recent years, which are able to provide super wide coverage and high capacity. Therefore, the integrated Terrestrial-Satellite Communication networks (TSC) is a quite promising solution for future 5G networks. In this talk, we discuss a range of technical issues in TSC, from spectrum sharing to multiple access resource allocations, as well as an overview some of the most recent systems. Yi Qian received a Ph.D. degree in electrical engineering from Clemson University. He is a professor in the Department of Electrical and Computer Engineering, University of Nebraska-Lincoln (UNL). Prior to joining UNL, he worked in the telecommunications industry, academia, and the government. Some of his previous professional positions include serving as a senior member of scientific staff and a technical advisor at Nortel Networks, a senior systems engineer and a technical advisor at several start-up companies, an assistant professor at University of Puerto Rico at Mayaguez, and a senior researcher at National Institute of Standards and Technology. His research interests include information assurance and network security, network design, network modeling, simulation and performance analysis for next generation wireless networks, wireless ad-hoc and sensor networks, vehicular networks, smart grid communication networks, broadband satellite networks, optical networks, high-speed networks and the Internet. 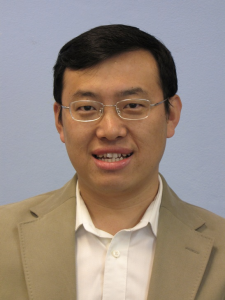 Prof. Yi Qian was the Chair of IEEE Communications Society Technical Committee for Communications and Information Security from January 1, 2014 to December 31, 2015. He was the Technical Program Chair for IEEE International Conference on Communications (ICC) 2018. He is serving on the editorial boards for several international journals and magazines, including serving as the Editor-in-Chief for IEEE Wireless Communications Magazine. He is a Distinguished Lecturer for IEEE Vehicular Technology Society & IEEE Communications Society. Abstract: In this topic, we will discuss the architecture of 5G and satellite network and will focus on the hardware prototype implementation and testing solutions. The technical core points include 5G communication technology and satellite communication technology, Beidou navigation, timing, positioning system and simulation test solution, satellite telemetry、track and command, high-speed data transmission, etc. Bio: Pengren Ding received B.E & M.E in communication engineering from Beijing University of Posts and Telecommunications. He has been working in the telecommunications industry after graduation, engaged in national projects including LTE Communication test set and multi-model communication test set. Four years ago, he Joined National Instruments as the senior communication expert focusing on the real-time processing, responsible for the development of V5G mmWave system, algorithm for Join procedure and beam management. He commits himself to provide technical leadership on key communications technologies not limited to 5G NR, mmWave, Channel sounding, Massive MIMO, LTE, 802.11, GNSS and V2X. Currently he is leading the development of LTE-V and 5G V2X prototyping system.